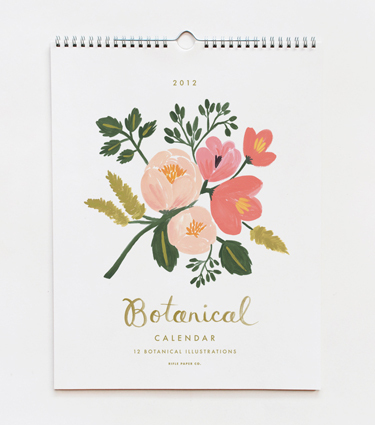 I know it's only the first of October, but I have already purchased my 2012 calendar. Don't hate me, because I usually have my Christmas cards ordered by Halloween too! 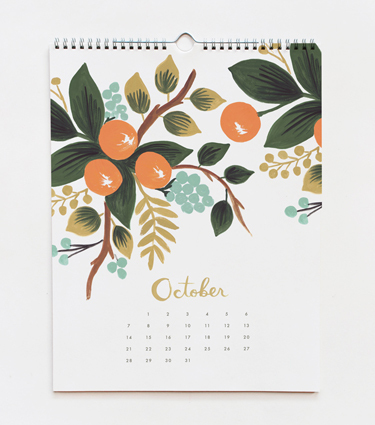 Even though I have an iPhone and an iPad to keep me nice and organized, I have always purchased a pretty paper calendar to grace the wall. I don't write on it, I just use it as a quick reference. This years purchase is from Rifle Paper Co. So happy my local Paper Source store had it in stock! 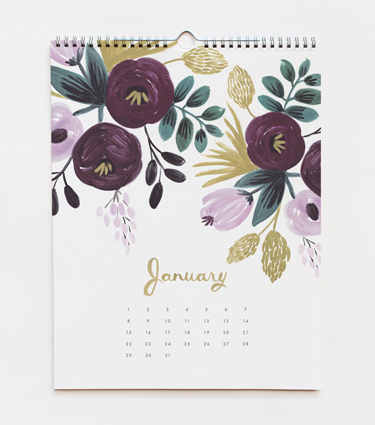 Do you buy a pretty paper calendar for your home or office each year?